Choluteca is the largest city in Southern Honduras. It is also the only major Honduran city on the Pan-American Highway. It is the capital of the department of Choluteca, one of the original departments dating back to colonial times. The word derives from “Chorotega” the name of the native Indian tribe established in the area at the time of the Conquest. Founded as the “Villa de Jerez de Choluteca” this is one of the most historical cities in the country. Choluteca was home to Honduran Independence hero Jose Cecilio del Valle. This charming colonial city is accessible from Tegucigalpa. Choluteca is the gateway to the Pacific coast of Honduras. The Pan American Highway, connects the city to the cities of San Salvador in neighboring El Salvador. To the West it does so with the northern city of Esteli in Nicaragua. From Choluteca, there is a short distance of only 91 km. to the border of El Amatillo with El Salvador; the east, the Guasaule border with Nicaragua is only 44 km. away and 65 km. to the El Espino border. Choluteca has the best preserved colonial architecture in the country. You will find a charming downtown area with pleasant and attractive colonial buildings. The climate is hot and dry, in contrast to the humidity of the north coast. Regardless, you will find the same hospitality that is famous to Honduras. Choluteca sees tourism as an important activity that has focused more on the north coast region than elsewhere in the country. Yet they have resolved to get a piece of the action themselves. The city is a bustling commercial and agricultural hub. 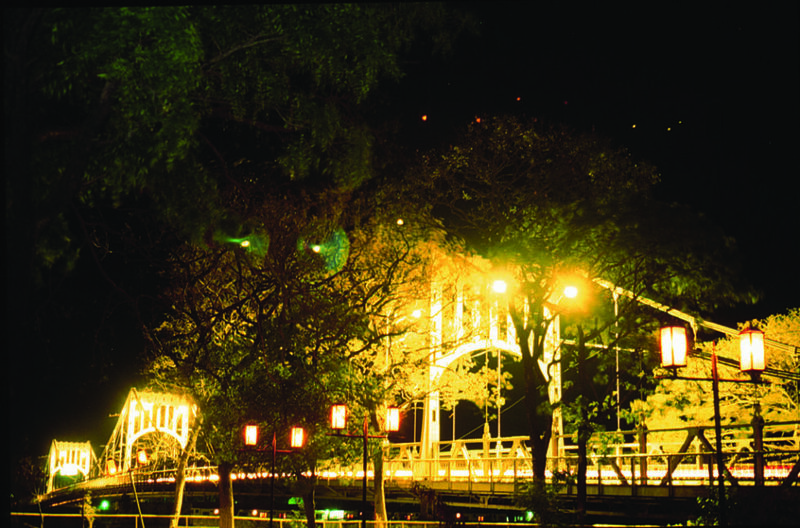 You will find that the city offers the traveler a wide selection of hotels in Choluteca. At the top of the line you will find the pleasant Hacienda Gualiqueme. There are other good hotels, such as the La Fuente, Camino Real and Internacional. There are a variety of banks in town that support the local entrepreneurs. The main economic activity derives from cattle ranching, shrimp farming and fishing. ATM machines are plentiful and easy to find. There are also several great restaurants, with my favorite being El Torito, an outstanding steak house. The nearby port city of San Lorenzo is the main port on the Pacific Coast of Honduras. All the products that enter Honduras though the Gulf of Fonseca arrive through this port. The Gulf of Fonseca is a lovely and unique area. It is rich in mangrove forests and small islands. Standing on the coast, you can see many of the islands, as well as volcanoes in the three different countries. The Isla Del Tigre with an almost perfect conical shape stands out within the gulf. There are many different things to do in Choluteca. The most popular beaches are nearby at Cedeño. Here, many vacationers from Tegucigalpa visit during the holidays. The beach is unique because of its of volcanic origin. This makes its sand black, so make sure you wear beach sandals to avoid getting your feet burned. In Cedeño you can find all sorts of food and drink in the beach champas that right on the beach..
You can see the colonial presence of the Spaniards in many of the small towns in the department of Choluteca. One of the most interesting sites close to Choluteca is the colonial town of El Corpus. At el Corpus, you will find colonial church built at the entrance of an old silver mine! The border town of San Marcos de Colon, offers a respite to the hot dry climate of Choluteca. Here the cool mountain climate is perfect for coffee farms. The town is just a few kilometers from the El Espino Border between Honduras and Nicaragua.